The Super Carry has a payload rating of 750 kg, 3.8 meters long and 1.56 meters wide, and features a load deck measuring 2.18 x 1.49 meters. It has a ground clearance of 175 mm and a turning cycle of 8.6 meters diameter. It rides on an independent front suspension featuring MacPherson struts and coil springs while a rigid axle and leaf springs perform duty at the rear. 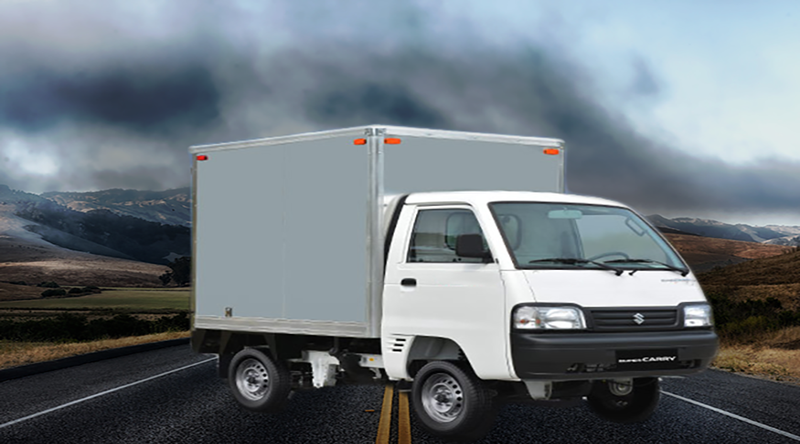 Suzuki Super Carry is the “most fuel-efficient vehicle in its class.